Anointing of the Sick: The Lord himself showed great concern for the bodily and spiritual welfare of the sick and commanded his followers to do likewise. Therefore, the Church believes and confesses that among the seven Sacraments there is one especially intended to strengthen those who are being tried by illness, the Anointing of the Sick. The Anointing of the Sick "is not a Sacrament for just those who are at the point of death." If you or a loved on is in need of the Anointing of the Sick, please contact the Life Center Office at 321-773-2783. Or come to the 8:30 am Mass on the first Saturday of every month and after Mass, the priest invites all those who are sick to come forward for an Anointing of the Sick. Viaticum, the Last Sacrament of the Christian: In addition to the Anointing of the Sick, the Church offers those who are about to leave this life the Eucharist as viaticum. 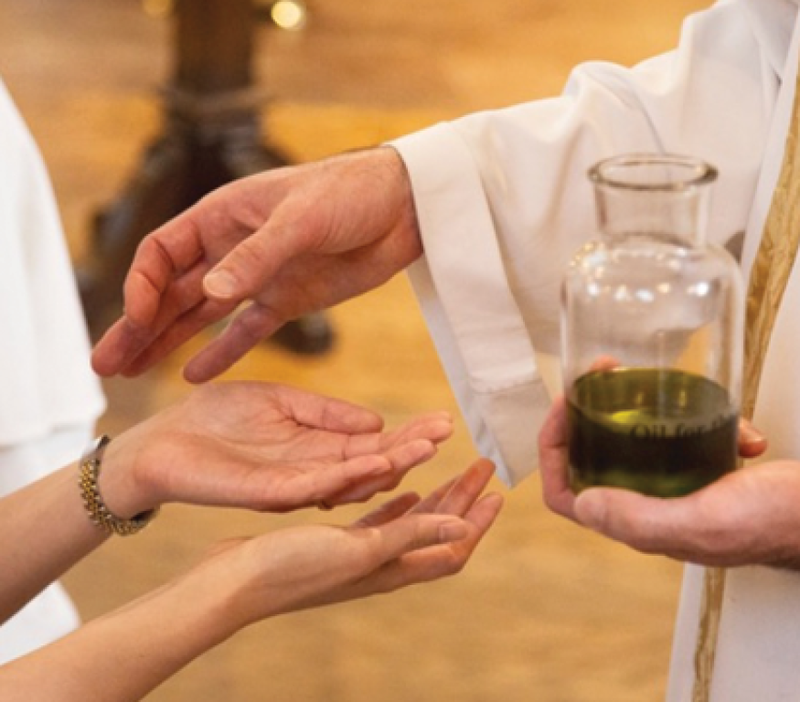 Communion in the body and blood of Christ, received at this moment of "passing over" to the Father, has a particular significance and importance. It is the seed of eternal life and the power of resurrection, according to the words of the Lord: "He who eats my flesh and drinks my blood has eternal life, and I will raise him up at the last day." The Sacrament of Christ once dead and now risen, the Eucharist is here the sacrament of passing over from death to life, from this world to the Father. Viaticum is the Eucharist that gives spiritual strength and comfort for the dying and enables them to make the journey into eternity with greater confidence and security. Viaticum, food for the journey, can be administered by extraordinary ministers of Holy Communion as well as priest and deacons.